With so many options to choose from, it can be a bit overwhelming trying to narrow down the best lenses for wedding photography if you’re a Nikon shooter. When I was first starting out, I got it in my head that I needed to have like a million lenses in my bag to successfully shoot weddings. But that really couldn’t be any further from the truth. Now after shooting weddings professionally for a couple of years now, I’ve figured out what setups work and which ones don’t. And I’ve come to find that what works best for me is to keep things simple. Having too many options in wedding photography can actually be a bad thing. If you’re constantly switching lenses and trying to get the “perfect” focal length for every situation, you’re going to miss important shots. And being that couples hire me to document one of the most important days of their lives, I don’t want to let them down. Wedding photography clients invest a lot in their photographers. So for Nikon shooters, I think it’s important to get the best Nikon lenses for weddings that your budget allows for. But on the other hand, you really don’t need to break the bank in order to deliver high-quality images to your clients. 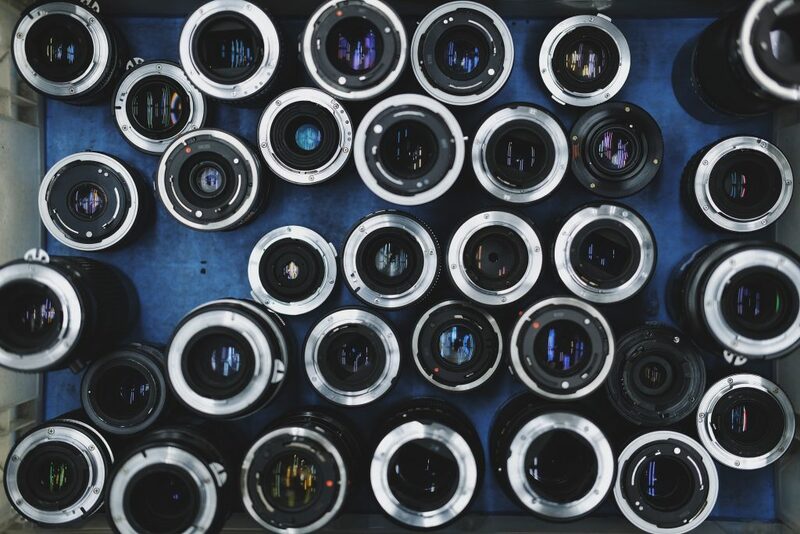 It’s not necessary to go buck wild and buy a bunch of expensive lenses. There are great budget lenses out there that are perfectly capable of producing professional level image quality. 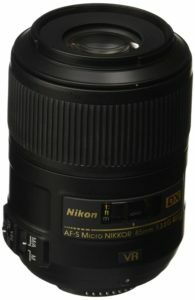 So what are the criteria we’re looking for when trying to find the best Nikon lenses for weddings? Weddings are fast-paced. So shooting them in a journalistic style like I do, I need my lenses to not hold me back in terms of speed. I also need dead-on accuracy. Hunting autofocus that takes forever to lock on to subjects is just not an option for me. A different kind of fast, I also need lenses with as wide of apertures as possible. Weddings present us with the most diverse lighting conditions of any type of photography. You may go from extremely bright to extremely dark situations in a matter of seconds. And due to the nature of weddings, a large majority of the time I find myself in the latter conditions. Churches are often very dark and poorly lit. Same thing goes for wedding receptions. While the high ISO capabilities of modern cameras makes it less necessary to have larger aperture lenses, it’s still nice to know that if I’m in a really dark lighting situation I can shoot at a pretty wide aperture to get enough light into my camera. Not only that, but I want to have as much control over my depth of field as possible. My style is not to shoot a lot wide open. I just like being able to tell the whole story of the wedding day, and for me that means having more of my subjects in focus. But it’s nice having the option of shooting with a really shallow depth of field when I want it. Especially during my portrait sessions with the bride and groom, whether it’s an engagement session or the portraits I take on the wedding day. Clients pay us good money to document their weddings. So they deserve the best image quality we can give them. All wedding photographers want their clients to be blown away by the photos taken on their wedding day. The majority of that comes from having a trained eye but of course choice of gear plays its part as well. So in this article we lay out our picks for the best Nikon lenses for wedding photography, divided up into two groups: FX and DX. Let me first start off by saying that I absolutely love the 35mm focal length. It’s just so versatile as a lens for photographing people in a journalistic way. It’s wide enough that you can easily photograph people indoors but not so wide that you get a lot of distortion. When I first started out shooting weddings, the widest angle lens I had at the time was a 50mm. And I quickly found that it was an awkward field of view for photographing people indoors and/or in smaller spaces – it’s just too tight, especially when I’m trying to include multiple subjects in my frame. I started out as a second shooter and the guy I was working for lent me a little Nikon 35mm f/2 and from then on it’s been my most used focal length by far. Being that a good portion of the time I’m shooting in these tight spaces, the 35mm is my go-to focal length. 35mm lenses are kind of wide, so they require you to get closer to your subjects, giving the perspective of your photos a more personal and intimate feel. And when I think about what types of photos I want to deliver to my wedding photography clients, personal and intimate is up there at the top of the list. It is possible to go wider, sure, like 28mm or 24mm. But that’s getting to the point where you have to get a little too close to your subjects for my liking. Plus, you start to get noticeable distortion as well. So while I used the Nikon 35mm f/2 for quite some time and still keep it as a backup, my main 35mm lens now is the Nikon 35mm f/1.4G. I probably use this lens for probably 90% of my shots. The focal length is just that useful and the image quality is that good. And it’s much bigger in size than I’d like. And it it’s pretty freakin’ heavy. 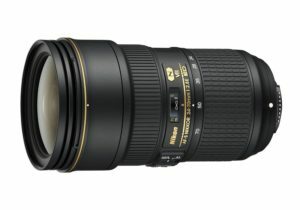 So with all these weaknesses, what makes it the best Nikon lens for wedding photography? All of the downsides are totally worth it for what you get with this lens. It’s tack sharp, captures a ton of detail and has gorgeous bokeh for a 35mm lens. It’s not a speed demon in terms of autofocus like the Nikon 24-70 lenses, but it’s fast enough and perhaps more importantly, is very accurate. It produces gorgeous, contrasty colors and images that really pop off the page. It’s one of those lenses that has “it” – that special sauce or whatever you wanna call it. It produces the types of images that really make people go “wow”. And that’s exactly what I want to deliver my clients. 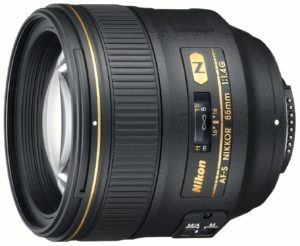 In my not-so-humble opinion, this is hands down the best Nikon wide angle lens for weddings and even the best lens for wedding photography by Nikon overall. 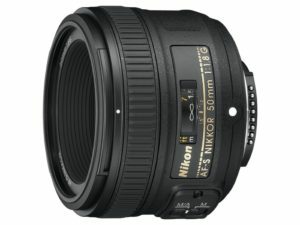 Another worthwhile mention goes out to: The FX Nikon 35mm f/1.8G. This is a strong lens in its own right but with slightly less impressive optics and bokeh. The great thing about it though is that it’s quite a bit smaller and a ton lighter. As far as optics go, I’d choose the 35mm f/1.4G any day but it’s actually a really tough decision between the two, as being on your feet for an entire day while having two cameras strapped to your shoulders really starts to wear on you. In the end I chose to go with the 35mm f/1.4G but if you think about the longevity of your wedding photography career and how many years you can go sporting big heavy cameras around your neck, it’s certainly a good idea to consider all your options. A wide angle on one side and a telephoto on the other. I keep my Nikkor 35mm f/1.4G on my right side because I use it the most and then the 85mm f/1.4G on my left side. The 35mm takes care of my wide angle shots and I bust out the 85mm when I’m shooting from far away or I want to get tighter framing on something. The Nikon 85mm f/1.4G does an excellent job as a moderate telephoto lens. It, much like the 35mm f/1.4G produces stunning image quality that really pops out at you. It’s impressively sharp – even wide open at f/1.4 the majority of frames are very sharp. Stopping down more only increases corner sharpness. Speaking of shooting it wide open, with its wide f/1.4 aperture, you can get some razor thin depth of field with it. Images are very detailed – it has no problem resolving even the larger megapixel camera bodies like the D810. It captures beautiful contrasty colors as well. The big thing about this lens is how it renders bokeh and the out of focus areas of its images in general. Just really creamy pleasant looking bokeh that gives images a dream-like look. It’s called the ‘cream machine’ for good reason. With the 85mm f/1.4, you’re really giving your clients the best image quality money can buy for Nikon DSLRs. That’s not to say it doesn’t come at a price though. For wedding photographers who make a living with this, it absolutely makes sense to invest in the best glass available. It’s also big and heavy so you have to take that into consideration too. If budget/size/weight are concerns for you, the Nikon 85mm f/1.8G is a very capable alternative. I think I would be doing my clients a bit of a disservice by not including at least a few macro shots in their album. I may not deliver a ton of macro shots for them but some of them are really important to the brides and help to show the little details of the day – I’m thinking ring shots, shots of the bride’s shoes, maybe the groom’s cufflinks, etc. They also help to break up the pattern of an album and throw a different perspective in there. Brides love seeing their rings, flowers and other little details of their weddings up close and personal. And when I need to get those particular shots, my go-to lens is the Nikon 60mm f/2.8 micro. It’s extremely sharp, as one would expect from a macro lens, it resolves a ton of fine detail and has nice smooth bokeh. But what I really love about it is its comfortable working distance. You can close focus up to 8 inches, and you can actually get even closer than that, it’s just that as you get closer than 8 inches the aperture has to decrease. This focus distance lets me sit comfortably, set the rings or whatever it is that I’m shooting on a table and get nice and precise framing. I’ve owned the Nikon 105mm micro as well, and I just found that I had to get obnoxiously far away from my subjects in order to frame things properly. It also has some issues with chromatic aberration that are far less pronounced on the 60mm. The 105mm macro can double nicely as a portrait lens but with my 85mm, I have no need for an extra portrait lens. And I want to keep my camera bag weighed down as least as possible. So not only does the 60mm micro perform better in several respects, it also comes at almost half the price of the 105. To me, there’s no contest between the two, at least in a wedding photography context. 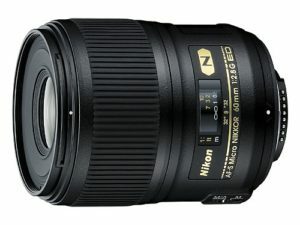 The Nikon 24-70mm f/2.8E VR is a monstrous beast of a lens. It’s huge – bigger even than the previous version of it (which is still being produced, so it’s an option as well). It’s about the same weight as the older version but that is pretty dang heavy. So what makes it one of the best lenses for wedding photography? Versatility. The 24-70mm is extremely useful for wedding photography. And it’s just as useful for other types of photography so if you have more than just a wedding business, you can really put it to good use. In my opinion, the versatility of its zoom range combined with really solid image quality easily makes it the best Nikon zoom lens for wedding photography. What makes it work so well is that it gives both reasonably wide and long angles on one lens. At the 24mm end you can use it to get architectural shots like pictures of the church or the reception venue. And you can get the shots of people when you’re up close, like when the bride/grooms are getting ready in their cramped little hotel rooms. Then at the longer 70mm end, you can use it for portraits of the bride and groom or to get the candid shots of the ceremony or reception where I usually would use my 85. The great thing about the Nikon 24-70mm f/2.8E VR is that you could literally shoot an entire wedding with just this one lens. You may not have the macro capabilities but with a close focusing ability down to just over a foot, you can actually get in pretty close. And it covers both your close and far away focal lengths. The focusing speed on this thing is as good as it gets – I wish lens manufacturers could make their wide primes focus this fast. In addition, the new VR opens up a ton of new possibilities for both photographers and videographers. It may benefit videographers the most but being able to shoot at significantly slower shutter speeds and still get everything in focus is huge for stills in my opinion. If you chose to shoot weddings exclusively with this lens, you’d have absolutely no problem. AND you could do it without having to carry two camera bodies. So even though this is a big hunking heavy piece of glass, you could actually cut down on weight by shooting with just this one lens and one camera body. Up until now I’ve just focused on lenses for full-frame cameras, but what about for DX cameras? Crop sensor cameras have, up until now, been somewhat looked down upon by professional photographers. “Can’t get as shallow depth of field”, etc. These are all perfectly legitimate concerns, but are really being challenged by what Nikon has done recently – specifically with the Nikon D500. This is probably the first camera the brand has released to make die hard full frame users really take a second look at shooting DX. With extremely fast focusing, an insane frame rate, excellent dynamic range all packed into a rugged, professional body. It’s hard to believe that it’s actually “just” a crop sensor body. Not to mention the Nikon D7200 and some of their other DX bodies are nothing to scoff at. In short, I would not hesitate at all to use a DX camera to shoot weddings. For DX shooters, there’s really no other lens I would recommend for your 35mm, semi-wide angle purposes. The 35mm FX lenses by Nikon are nice, but put them on a DX body and you no longer have a 35mm focal length – with the 1.5x crop factor you get a focal length of about 52mm. The 50mm focal length has it’s purposes but that’s not what I’m going for when I need something on the wide side. The Nikon DX 35mm f/1.8G produces sharp and detailed images. It’s the type of lens that’s practical and just gets the job done reliably. With its 1.8 aperture, it’s plenty capable of shooting in low-lit environments like churches and wedding reception venues. It’s even pretty sharp wide open while offering pleasing bokeh. The great thing about it is that it’s incredibly cheap for the great image quality you get with it. I know, I know. This is not technically a DX lens. But hear me out here. With the 1.5x crop factor you get using FX lenses on DX bodies, you get a 75mm effective focal length using this lens on DX cameras. While I would prefer to have an 85mm equivalent for DX bodies, 75mm is not far off and provides you with a good focal length for portraits and for parts of the wedding day when you’re shooting from a distance. The Nikon FX 50mm f/1.8G is one of the sharpest Nikon lenses out there and is pretty snappy to focus too. It too has an aperture wide enough to handle tough lighting conditions. Plus, it’s priced very reasonably – about the same as the Nikon DX 35mm. 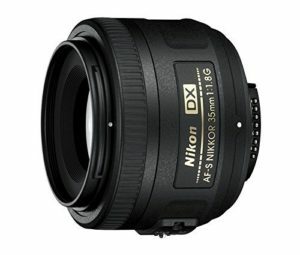 There are other options out there like the Nikon 50mm f/1.4G or the Sigma 50mm f/1.4 ART, but in my opinion it’s best to go with the 1.8G for DX shooters. It’s actually sharper and faster to focus than the Nikon 1.4G and Sigma is so big and heavy that it doesn’t balance well on DX camera bodies. The Nikon 85mm f/3.5G VR performs much like the 60mm f/2.8 micro, but is just a better option for DX cameras. It’s sharp as a tack, focuses close giving you a nice working distance, and it’s nice that it’s light in weight. There’s really not much more you can ask for. It’s great for shooting the wedding rings and other wedding decorations. You may be wondering why I wouldn’t just recommend shooting with this lens and the 35mm DX lens for DX shooters. Well, the 85mm f/3.5G VR does have some drawbacks. The obvious first one is that with a maximum aperture of f/3.5, it just doesn’t have as wide of an aperture as I’d prefer. Mostly for low light situations but also for depth of field control. As I’ve said before, weddings really put you in tough situations where at any given time you could need a wide aperture just to get proper exposures. This lens just doesn’t have that. But it’s perfectly fine for the macro work that I do for weddings, as I have more control over the lighting in these situations. The other drawback to the 85mm Nikon micro is that it’s kind of a slouch in terms of focusing speed. Again, it’s fine for macro work where I have more control over my lighting but I wouldn’t trust it for fast-paced situations. In the end, photography is completely subjective – and the gear you use should be too. Shoot with what you want and what makes you happy. 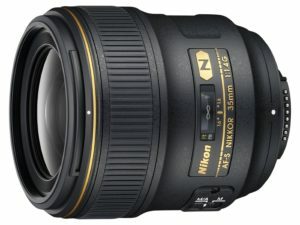 There are no definitive best Nikon lenses for wedding photography or so-called must have lenses for wedding photographers. It’s really up to you to try different lens combinations out and then come to your own conclusions. My recommendations come from years worth of photographing weddings, but in the end they’re just that – recommendations. Shoot with whatever you think will provide your clients the best image quality you can possibly give them. With an 85mm and 35mm on either side. Weddings are fast-paced and not entirely predictable. I choose to shoot with two cameras because it gives me all the range I could ever expect to need throughout the day. It keeps me from having to zoom in and out and it certainly keeps me from having to swap out lenses throughout the day. I don’t want to be constantly fidgeting with my lenses and changing them. It takes way too long not to mention it also increases the chance of getting dust on your sensor. But you may have a system that works better for you, and that’s OK. I know some great photographers who shoot entire weddings with just one camera body and a 50mm lens. I’ve shot with just about every setup imaginable. I recommend the 85mm/35mm setup because it works really well for me. It may not end up being your style but I suggest trying it out. Rent before you buy if you have to. And if you’re on a tighter budget, you have the option of going for the 1.8 lenses, which provide pretty similar image quality at a much cheaper price point but more importantly, in much smaller and lighter packages. What lens are you thinking of adding to your wedding setup? Leave a comment below and let’s talk about it. Oftentimes, a cut-and-dry reality that many people new to photography don’t fully comprehend is just how challenging it can be to get into the industry. Not only do you have to gain brand recognition and land your first few professional jobs, but it also takes an incredible amount of money to first buy all of the stuff you’ll need in order to consistently get great images. Owning an expensive camera isn’t enough: you’ll need to spring for a myriad of lenses, flashes, a backup camera, and countless extra batteries and memory cards to be ready for nearly any setback. Additionally, expect to be investing in extra hard drives to store your files to. This can be a lot of money to spend prior to actually getting your photography company up and functional. Of course you can typically rent supplies the first few times, and this can help in the very beginning, but if you are serious about professional photography – especially working weddings and other big events – you are going to be forced to make a sizable investment sooner than later. I couldn’t agree more, Ric. Thanks for reading. I used a 50mm 1.8 on a D750 with a 85mm 1.8 and 24-85mm zoom and it worked well. I had a D5300 as back up but didn’t use it. In hindsight maybe I should have put it on the D5300 for tighter crops on informals as it would have reduced lens changes but at the expense of file quality. Most shots were at 50mm or 85mm looking at EXIF data though…. Ideally 2 D750s and a 35mm when finances allow! Hey Dave, yeah my ideal setup is a 35mm as my go-to focal length and a 85mm on another camera body. I’ve also done 50mm+85mm and it can work fine, especially during the ceremony and after considering you won’t be in tight spaces like you’re forced into when doing the getting ready shots in hotels and what not. I really like the 35mm focal length though, the wideness gives shots a more intimate feel. Oops I meant put the 24-85mm on the D5300! Sorry, not clear! For backup, I have D7100. So I am before decision how to combine together. My idea is D7100 and Sigma 50-100 Art f/1.8 and D750 with 24-70 f/2.8. For wedding portrait shots, I mount 50-100 on D750. Hey Martin, that sounds like a pretty big and heavy setup. I could see using one zoom lens but if I used zoom lenses on either side I’m sure I would miss some shots because I would be trying to zoom in and out to the focal length I wanted. What I like about primes is that when I bring them to my eye I always know what focal length I’m getting.